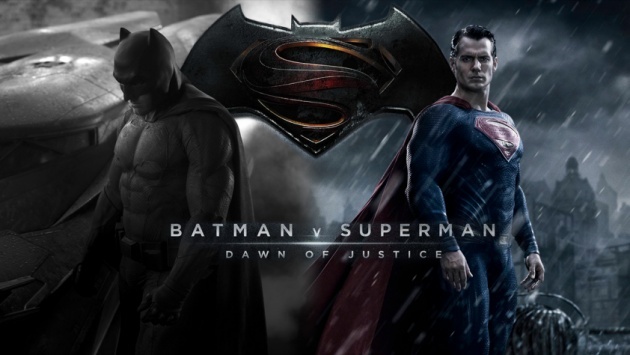 Right on the heels of the official Star Wars: The Force Awakened Trailer, comes a leak of the full Batman v Superman: Dawn of Justice trailer, which was supposed to be shown first in an IMAX event. It's a pretty bad leak, with the video coming in and out of focus and the audio is full of echoes. The trailer itself looks a little boring and there's almost nothing about the film here that wasn't obvious already, so you might want to wait to see it in a clearer, official release, reports ndtv. The Batman v Superman: Dawn of Justice trailer itself doesn't seem to have too many surprises - it starts with a voice-over that asks if it is surprising that the most powerful man in the world should be a figure of controversy. Superman seems to be under attack from the press, as people talk about the future of the planet, and Batman watches on. The last scene of the clip is Christian Bale style growl-voiced Batman wearing a bulky looking suit that is probably designed to evoke the armoured suit he wears to fight Superman in The Dark Knight Returns. His eyes glow, and he growls, "Tell me, do you bleed? You will." It's incredibly cheesy but so far, it looks like it could still work out pretty well. The two minute trailer doesn't really give away much detail for now - the first quarter of it is just titles and logos - so it's hard to say how things will turn out. The tone certainly seems to aspire to the grim sensibility of Miller and The Dark Knight Returns, but whether that's a good thing or not depends on whether you were tired of this shtick by the time The Dark Knight Rises released in theatres or not. Neither of these two make it to the leaked Batman v Superman: Dawn of Justice trailer though, and we're really hoping that this is just because the film-makers don't want to give away too much so far before the release of the movie. Time will tell, but for now at least, this trailer hasn't really gotten us excited. With over a year to go for the March 2016 release date though, we're not giving up hope for now.